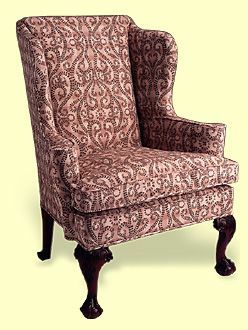 An excellent traditional wing chair with well pronounced details on the hand carved mahogany ball and claw feet. C.O.M. Priced does not include fabric.